Great for chilling wine or champagne at your next reception! 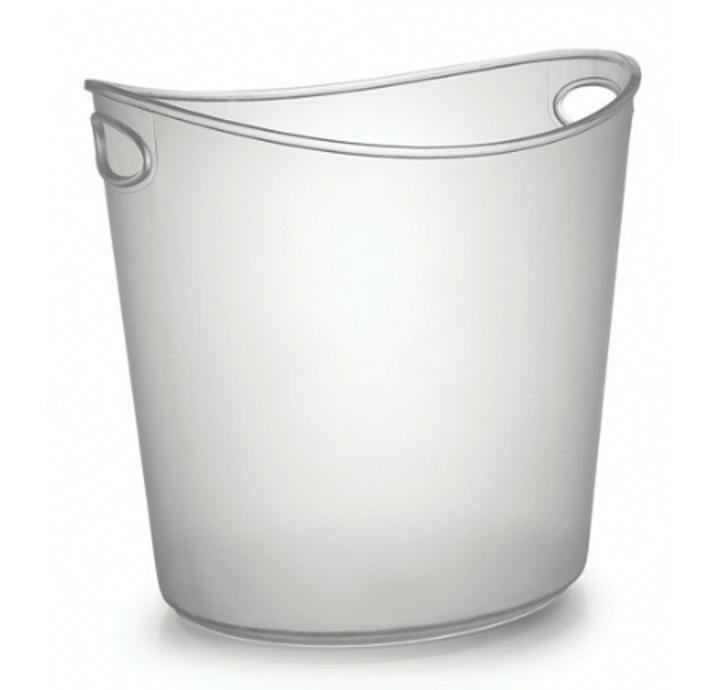 Made of premium plastic, this oval ice bucket features a crystal clear design and durable carrying handles. Great for chilling wine or champagne at your next banquet or reception! Each ice bucket is approximately 8 1/2 in. tall and 8 1/2 in. in diameter.